Niagara Health is celebrating National Nursing Week from May 7-13. Join us as we recognize and thank our dedicated nurses for all they do to provide extraordinary care for our patients every day. Our team of more than 2,100 nurses includes Nurse Practitioners, Registered Nurses and Registered Practical Nurses who represent an essential part of our multidisciplinary healthcare team. The theme, #YESThisIsNursing, continues to shine a light on the continually evolving profession of nursing and the variety of nursing roles in healthcare. Many of our nurses work in traditional roles both inside the hospital and within the community providing extraordinary care for our patients and their families. 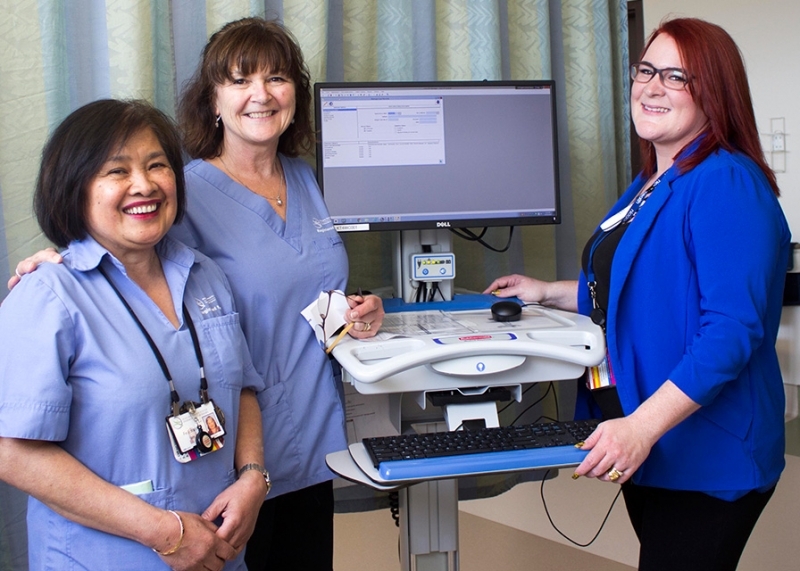 We also want to raise awareness of the non-traditional roles nurses have at Niagara Health, such as those working in Corporate Services, Research and Education and Information and Communications Technology. Our inspirational nurses are educating the next generation of nurses, conducting research to continually improve patient care and outcomes and some have dedicated themselves to our Armed Forces. Nursing Week is being celebrated across Canada. Several activities and celebrations will be taking place at Niagara Health to acknowledge the incredible commitment and outstanding contributions of our nurses. The Nursing Excellence Awards are taking place on Thursday, May 10 across all of our sites as we officially celebrate the inspiring leadership and excellence of our nursing professionals. The awards will be presented to those extraordinary individuals who have been nominated by their peers. The celebration will also include highlights of the incredible scholarly achievements that some of our nursing professionals have achieved over the past year.